Current Solar Facts in Ohio and the U.S.
Ecohouse Solar operates in the Central Ohio area. We are familiar with our market. We understand what motivates homeowners and small businesses in Central Ohio to choose solar, and we understand the costs and benefits in our market. We also know that in comparison to many other states, and some other countries, Ohio has a small amount of solar. We know we are just scratching the surface. Low electric rates, and lack of state or local solar incentives has stymied the amount of solar being installed in Ohio. There is plenty room for solar to grow in Central Ohio. And yet, the amount of solar is increasing each year in Ohio. Ecohouse Solar can testify to that because our business is growing each year. Ohio Homes Powered by Solar: 19,242. Percentage of Ohio’s Electricity from Solar: 0.21%. Solar Companies in Ohio: 260 (105 Manufacturers, 79 Installers/Developers, 70 Others). Total Solar Investment in Ohio: $511.80 million. Prices have fallen 55% in the last five years. Growth Projection: 669 MW over the next 5 years (ranks 23rd). 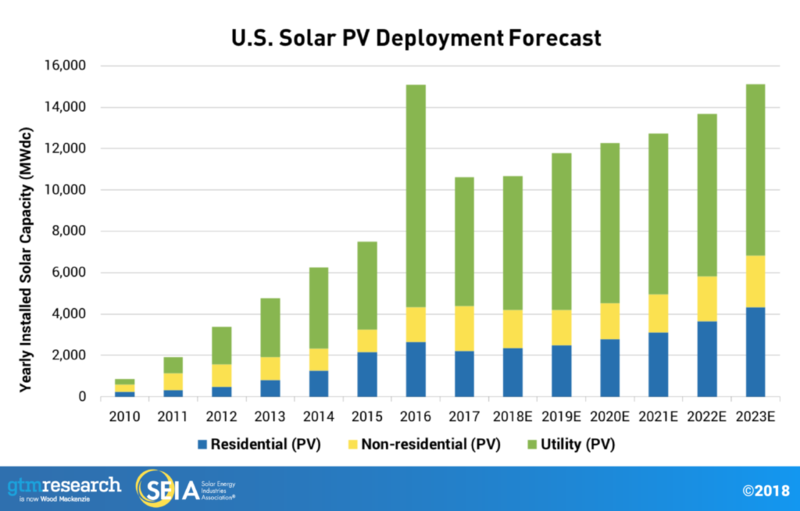 Outside of Ohio, solar has been booming especially in certain states such as California, North Carolina, Arizona and New Jersey.